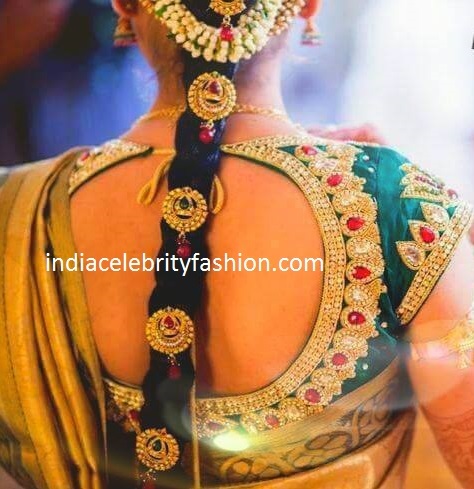 Beautiful kundan and stone work back blouse design for a short sleeve tied wedding blouse. For Green trends salon launch,Roja donned a red and green color saree with circle design border paired with lace work high neck full sleeve blouse.Puff hair,red bindi and matching color jhumkas rounded off her look. 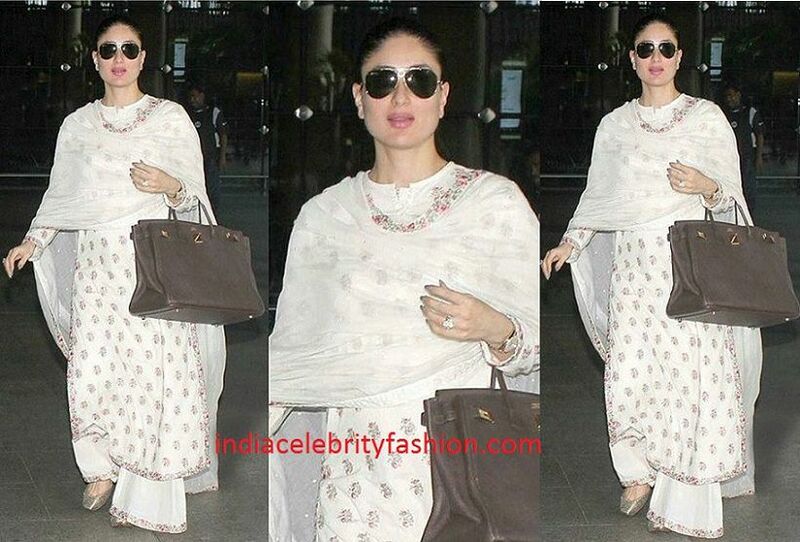 Kareena kapoor was recently spotted with baby bump in a sabyasachi white high neck kurta with sharara pants and matching dupatta.Tight hair,glasses,hermes handbag and flats complemented her look. She is glowing with her baby bump! 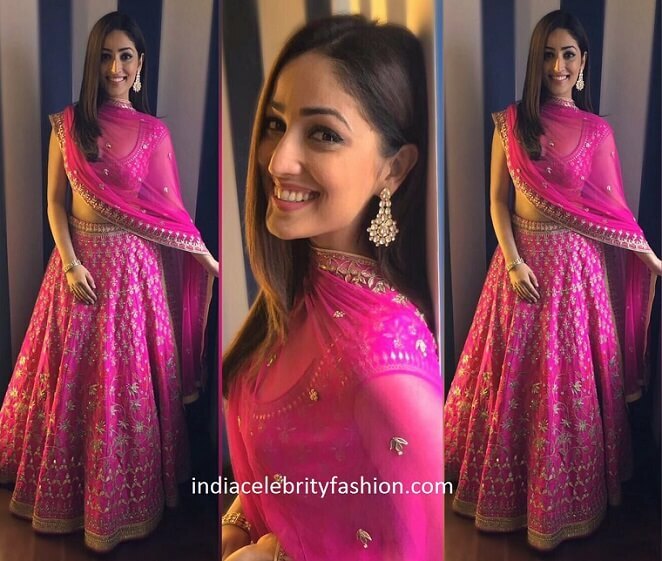 For Vogue Wedding show,Yami gautam donned a beautiful anita dongre magenta color embroidery work bridal lehenga with matching embroidery work short sleeve blouse and transparent work dupatta. She looked gorgeous and love the beautiful lehenga! 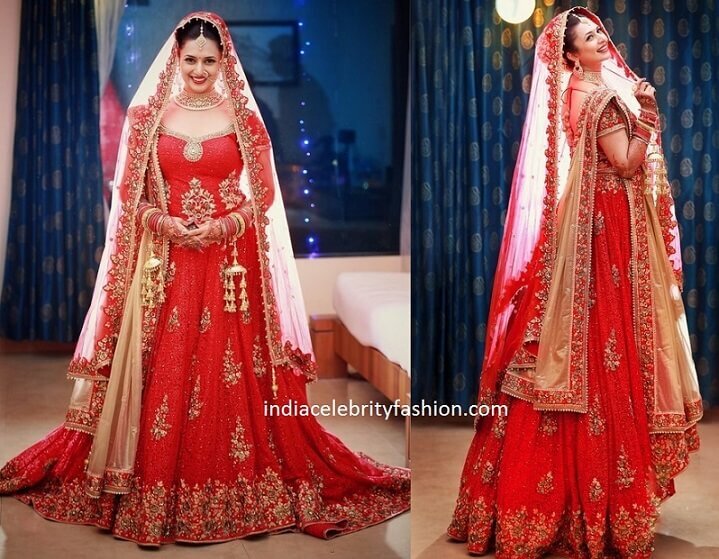 Beautiful bride Divyanka tripathi(Ishita) in her wedding red bridal lehenga with heavy work all over and net dupatta.She looked very pretty with bridal jewellery. 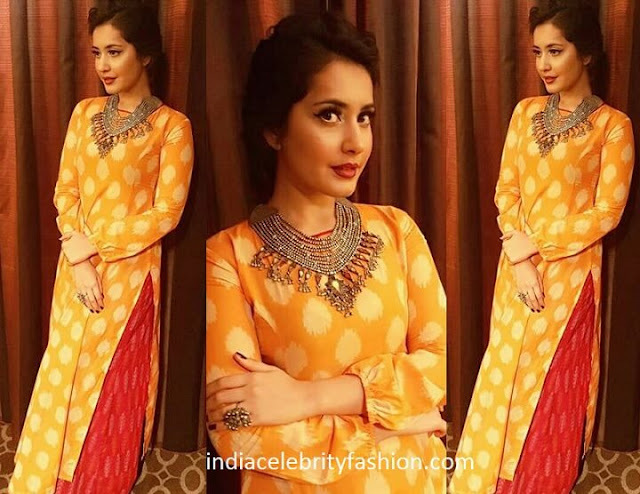 For ATA Convention event,Raashi khanna donned a preetam jukalker ikkat kurta and palazzo pants along with amrapali necklace and finger ring.Braided hair,red lip complemented her look. 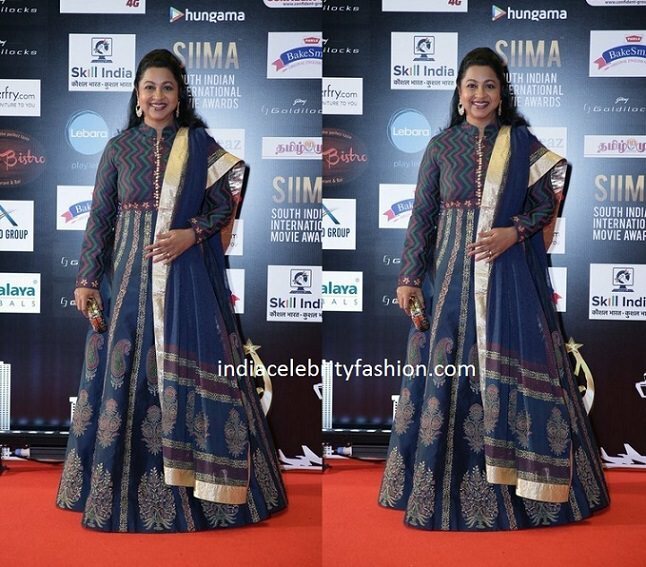 For SIIMA awards day 2 red carpet,Radhika Sarathkumar donned a long floor length printed anarkali with collar neck,full sleeves and matching dupatta.